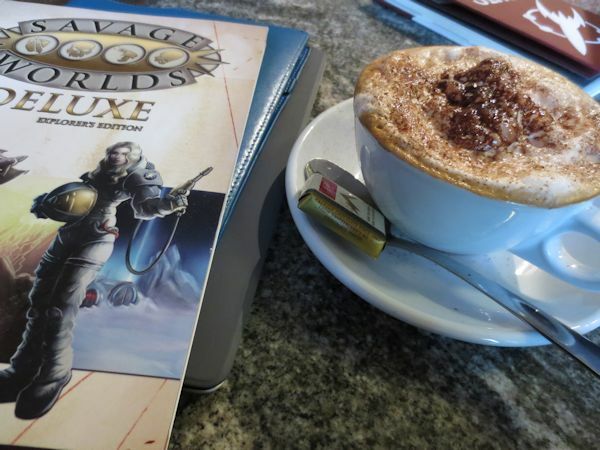 Enjoying a cappuccino at my favourite coffee shop while taking part in Read an RPG in Public Week. Date night, check. Caffeine, check. Life is good.